Flat rice noodles are available fresh at Chinese or Asian stores. They are soft, pliable, white in color, and shiny looking as the noodles are coated with oil. 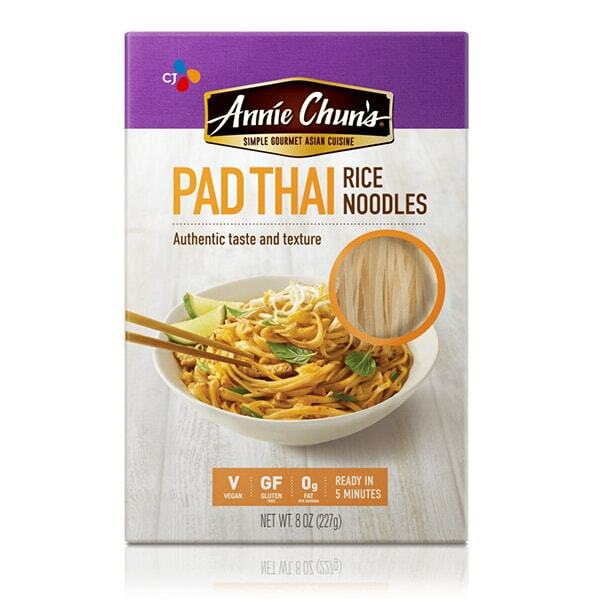 These noodles are about 1/10” wide and they are best for making Pad Thai. Rice sticks or rice vermicelli are dry, thin rice noodles made with rice flour and water. They are mostly made in China or Taiwan. Before buying the rice sticks, please check the label to make sure that no starch is added to the rice sticks—which tend to stick together after cooking due to the starchy content in the noodles. They are used for Singapore Fried Noodles. Vietnamese rice sticks are used in Summer Rolls and Vietnamese BBQ Shrimp Vermicelli. Unlike rice sticks (rice vermicelli) mentioned above, Vietnamese-style rice sticks are slightly thicker and softer after they are cooked. The easiest way to tell the difference between the different rice sticks is to look at the country of origin. Buy those made in Vietnam for Vietnamese dishes. For Pad Thai, I like Annie Chun’s Pad Thai Noodles.